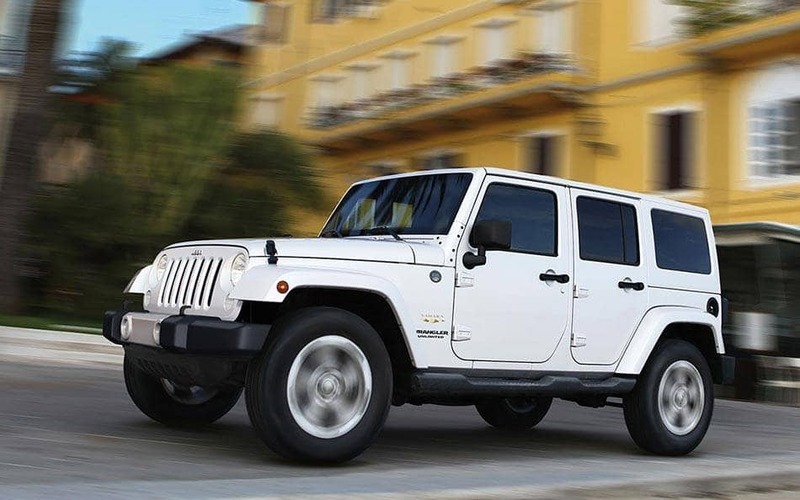 Are you looking for a used Jeep Wrangler Unlimited in the Emporia, Kansas or Lyon County area that delivers excellent quality and reliability? Come to Clint Bowyer Autoplex in Emporia and check out our Jeep Wrangler Unlimited selection. The Jeep Wrangler Unlimited is the perfect on and off-road vehicle and can take you places other vehicles wouldn’t dare! In addition to Emporia and Lyon County, Clint Bowyer Autoplex is proud to offer residents of Cottonwood Falls, Eureka, Osage City, Lyndon, Council Grove, Burlington, Alma and surrounding cities a great selection of quality pre-owned Jeep Wrangler Unlimited vehicles, and we’re ready to earn your business! If you are in any of these areas and are looking for the perfect used Jeep Wrangler Unlimited, you can trust Clint Bowyer Autoplex of Emporia, KS to meet your car shopping needs. View our Used Jeep Inventory. CONTACT US DIRECTLY AT (620) 343-6723 TO FIND OUT MORE ABOUT PRE-OWNED JEEP WRANGELER UNLIMITED VEHICLES AT CLINT BOWYER AUTOPLEX IN EMPORIA, KANSAS!